One book — 10 effective tactics to achieve your goals that you can start applying today! Are you focusing on what’s most important? Did you know that in an eight-hour workday we spend just four hours on actual work? And that we only work with complete focus for about two to three hours a day... which is actually not bad. That means you have about 10-15 hours per week for intense work. Do you devote that time to the most important tasks that push your projects forward? It’s very likely that you don’t. It’s time to find out why and what you can do about it! The "10 Steps to Ultimate Productivity" book will help you create a work system that allows you to utilize your potential more effectively and avoid basic mistakes in the way you manage your time. How to deal with a flood of incoming emails and notifications. Michael Sliwinski has put together a phenomenal resource with this book! If you have been struggling with organizing your life and work, or you need effective strategies to ensure you get more done each day, "10 Steps to Ultimate Productivity" will get you there. I have followed Michael’s work for years and this book is nothing short of extraordinary, practical, and immediately helpful. Hi, my name is Michael Sliwinski and I have been professionally engaged in productivity and time management for over 10 years. I’m very happy that I can pass everything I know on this subject onto you with this practical guide. "10 Steps to Ultimate Productivity" is not a collection of theoretical principles – it’s a record of many years of experience that I’ve been drawing on to constantly optimize my own productivity system. Although I love books (I read several dozen a year), I believe that personal experience is more important than dry, bookish theory. That’s why each step of the book includes an instruction for immediate application in Nozbe – the app that I use on a daily basis and created over a decade ago. Remember, however, that with my tips you’ll also be able to create your own trusted productivity system with the use of other tools. The principles remain the same! The "10 Steps..." book is universal. It wasn’t conceived for any specific group of people. It’s been made for you – regardless of who you are and what you do. Because the only person who can change your life is YOU! Order the book and start acting now! Step 3: Focus on What’s Most Important! Step 5. Delegate Tasks to Achieve More - Work in a Team! Step 6. Group Your Tasks and Shift Gears! Step 10: What Else Can You Improve? There are extra resources added to each chapter of the book! 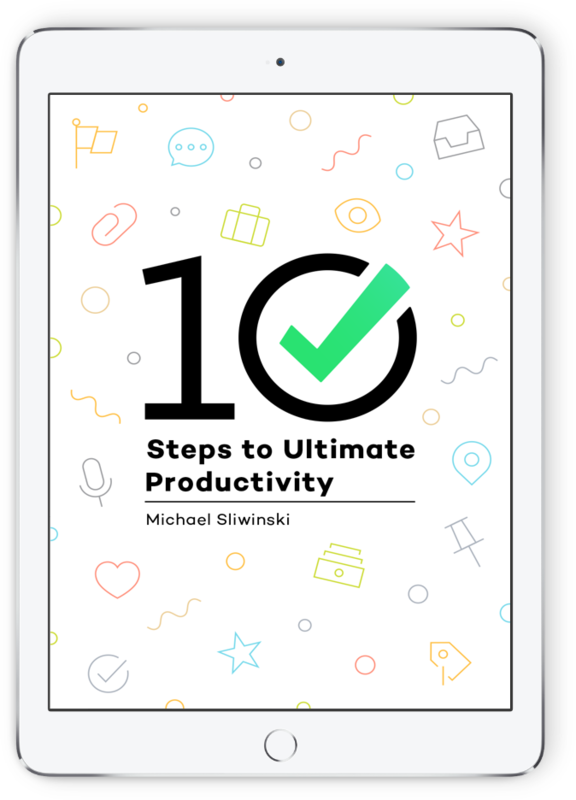 Michael's book skillfully helps you conquer the biggest productivity myths by sharing a simple step-by-step plan to make productivity easy for everybody. Everyone, from productivity beginners to seasoned pros, who is looking to focus on what matters most needs to read this book. "10 Steps to Ultimate Productivity delivered just what I hoped for – a clear and to the point guide for improving my productivity. 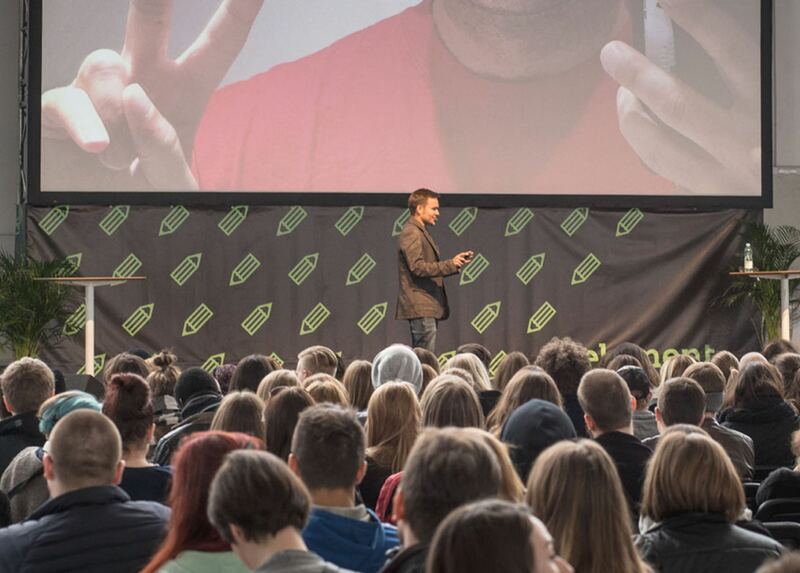 It explained in real life examples how to get – and stay – productive. Although I considered myself fairly productive before, after reading this book, I’m even more motivated and equipped to focus on getting things done! This is a quick and easy read that I highly recommend no matter your current productivity level– there’s something in it for everyone." "This book does a great job of reaching it's goal to help you build your own trusted productivity system with a friendly, down-to-earth style. The action steps at the end of each chapter are perfect practical applications of the steps and really do help you build your own system. I wish I'd had this book years ago when I was figuring this all out on my own!" 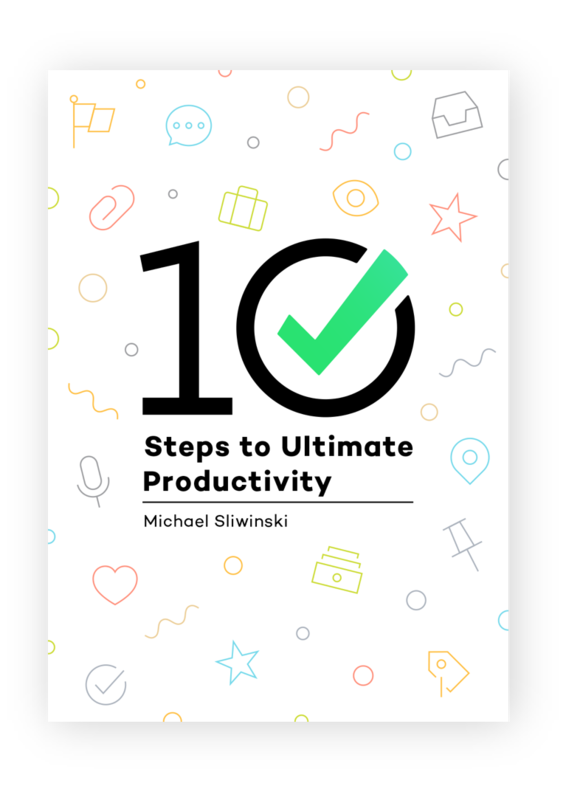 "Productivity enthusiast Michael Sliwinski, owner of Nozbe.com, has just released a fantastic new book for increasing your personal productivity. All kinds of great nuggets of information and worth it’s weight in gold! A must read for anyone that wants to improve their own personal productivity." "If only I had this book a few years ago, I wouldn’t have had to search for knowledge on blogs or in books. It’s an excellent compendium of information and practical advice." "I believe anyone would benefit from reading this book. Absolutely recommended! Full of great productivity tools and actionable tips. It is very good for those, who are only getting into productivity, but has useful insights for the experienced ones as well"
Or how about the Productivity Package? 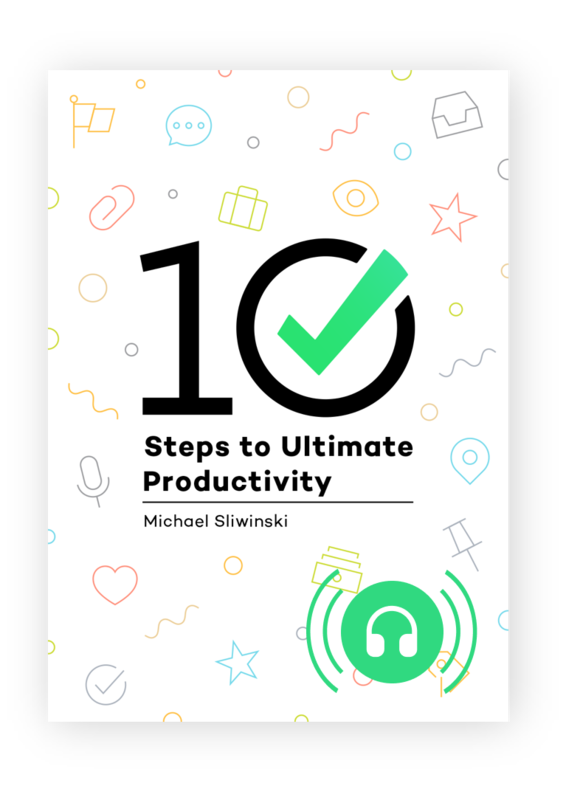 A paperback copy of the "10 Steps to Ultimate Productivity" book (value: 9.95 USD) - use the book as a work book – you will find enough space to make notes and do exercises! Not sure whether the tips included in the book are for you? Fill out our form, and we’ll send you the first two chapters of the book. This book has everything you need to grasp a fundamental understanding of being more productive by relaying the fundamental principles of organizing and prioritization. If you happen to use Nozbe, you gain additional insight such as using Nozbe to collaborate with teams. By buying the book you donate $1 to charity. We’ll be posting quarterly updates on the Nozbe blog about the charities we’ve supported thanks to your help. Michael Sliwinski is the founder of Nozbe – a productivity tool which helps professionals and teams manage their tasks, projects... and themselves. In its 10-year existence, the app has gained the recognition of more than 500,000 users from all over the world. It became especially popular in the United States, Japan and Poland. Currently, it’s available on all major platforms: Windows, Mac, Linux, Android, iPad, iPhone and Apple Watch. Michael has also written books about modern ways of working and innovative company management. 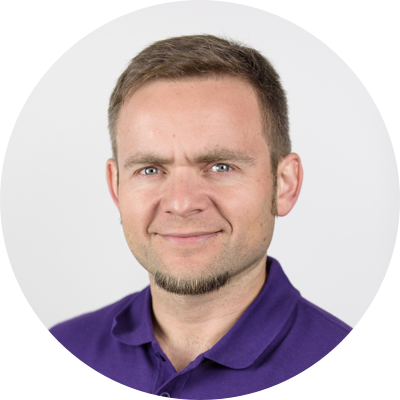 He blogs at sliwinski.com, where he focuses on working and running a company remotely, and personal development. His company doesn’t have a main office, and everyone on the team works from their home. By filling out and submitting the form to request a free excerpt from the book or order form, you consent to the processing of your data by Nozbe Michał Śliwiński for marketing purposes and receiving commercial and marketing information via email from Nozbe Michał Śliwiński. Your data will not be disclosed to any third parties, except as limited by the Polish law. You may opt out of receiving emails from us at any time by clicking the link in the footer of each email.